Launched in 2002, the SEED Academy is the first basketball student-athlete academy in Africa. Up to 40 high potential student-athletes, boys and girls, live, train and work towards achieving their goal of attending university. From 2002-12, the Academy served exclusively high school boys and had tremendous success. More than 100 students matriculated to university or secured a job in Senegal, the United States and Europe. With both a need and a demand for higher quality girls sports programming in Senegal, and an organizational commitment towards gender equality, we teamed-up with NBA Champion, Boris Diaw, and his Babac'ards Foundation, and launched SEED Academy Girls in 2013. Each student’s primary goal is to graduate high school and matriculate to university or secure a quality job upon leaving the program. Many of our graduates leverage their athletic talents and secure university scholarships at some of the top institutions around the world. 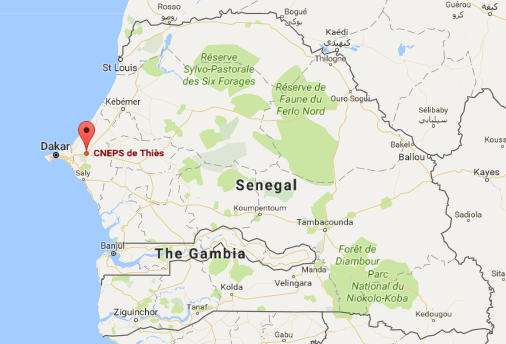 The academy is located in Thies, Senegal and is housed at CNEPS, a government sports training and youth development facility. All SEED Academy Boys students (max. 20) board at the facility while all SEED Academy Girls (20) live in Thies at home or with host families. The academy serves students grades 6-12. In January 2017, we partnered with the NBA to launch the NBA Africa Academy, an elite student-athlete development program for high school boys from across Africa. Students currently receive scholarships to attend SEED Academy.